Grew Up... with loving parents in Deptford, London. Jim loves his parents, and remained close to them even as he entered adulthood. Living… in the middle of a terrifying epidemic. When animal rights activists accidentally released a chimpanzee infected with the terrifying “Rage Virus,” all hell broke loose. Within days most of the UK’s population had been infected and turned into mindless, violent cannibals. Jim awakens from a coma 28 days into the epidemic and finds himself in a dangerous world he no longer recognizes. Profession… bicycle courier. He was on his bike when a car cut across him, knocking Jim into a coma. 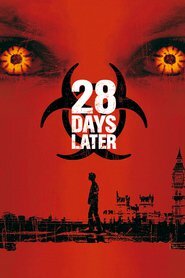 He remained in his coma for 28 days, while the rest of London fell to the infected. Interests… survival. Ever since Jim woke up he hasn’t had much time to focus on anything else. He’s desperate to find other survivors to help him through the plague — or at least to ensure he doesn’t die alone. Relationship Status… single. If he did have a girlfriend before his coma, he doesn’t have the time or inclination to try and track her down. There’s something appealing about his fellow survivor, Selena, but with flesh-eating madmen running the streets, there isn’t much time to think of romance. Challenge… surviving this plague. One drop of infected blood can turn a person into a rampaging, mindless monster within 30 seconds. With hungry infected humans roaming the streets in hordes, Jim will have to band together with other survivors if he hopes to survive. Personality… sensitive, social and good-hearted. You wouldn’t peg Jim as someone who could survive a zombie outbreak. Still, despite his seemingly gentle temperament, Jim seems like he might have a shot in this new world. He’s lucky (better than talent, when you’re talking the end of the world), cool-headed, and cautious enough to stay out of unnecessary danger. All this combined with his natural ability to draw people together and lead them makes him an asset to any survivors he may come across. Terrified and trapped in a desolate world, the odds are stacked against him, but this bicycle courier-turned-survivor knows he has to keep moving and keep trying if he has any hope of leaving London alive. Jim's popularity ranking on CharacTour is #3082 out of 5,000+ characters. See our top-ranked characters and read their profiles.